Are you interested in helping to encourage more girls to follow careers and studies in STEM? Do you want to help ensure European girls have the skills needed to succeed in the future workforce? Are you fluent in English and French and/or Dutch? 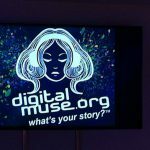 Come volunteer for Digital Muse After School! We’re looking for enthusiastic volunteers with an interest in learning digital skills to help us achieve our goal of a truly inclusive, trilingual classroom. DMAS volunteers will be taught and prepped on all course material before each of the four modules and will receive ongoing support from the DLI team. We are looking for volunteers who can provide linguistic and technical support to girls aged 11 to 16. Previous technical experience is not required. All we ask for is a passion for our mission and a willingness to learn! As volunteers become part of the DLI family, we want to see each and everyone grow and benefit from the experience. With this in mind, we are excited to offer our DLI Volunteer Certificate which can be added to your LinkedIn profile. If this sounds like something you would be interested in learning more about, please contact maria.alfonso@dlii.org (Digital Muse Programme Manager), briefly explaining your motivation to volunteer, and confirming your availability on Wednesdays between 14-16h along with your language abilities. Bent u geïnteresseerd om meisjes te stimuleren om een carrière aan te gaan en studie hierin te volgenin STEM? Wilt u helpen om ervoor te zorgen dat Europese meisjes de vaardigheden hebben om te slagen later en goede job te krijgen? Spreek je goed Engels/Nederlands of Frans? Kom als vrijwilliger helpen voor de Digital Muse Afterschool! We zijn op zoek naar enthousiaste vrijwilligers met een interesse in technologie, en help ons doel te bereiken. DMAS vrijwilligers krijgen voorbereidende lessen en wij zullen jullie klaarstomen in de 4 verschillende onderwerpen. U zal altijd oppas kunnen terugvallen indien u iets niet snapt. Wij zijn op zoek naar vrijwilligers die meisjes tussen 11-16 jaar kunnen ondersteunen op taalgebied en digitale vaardigheden. Het is niet nodig om technische vaardigheden te hebben. Het enige wat we zoeken zijn gepassioneerde mensen en die graag bijleren. Als een vrijwilliger wordt je een deel van de DLI familie. We willen dat iedereen kan groeien en kan genieten van deze kans. Hou dit in gedachte, dat wij een certificaat uitreiken: DLI vrijwilliger certificaat, die kan je toevoegen aan je LinkedIn profiel. Als dit als muziek in uw oren klinkt en u bent geïnteresseerd om er meer over te weten of leren, neem dan contact op met Maria.alfonso@dlii.org (Digital Muse Programma manager), vertel kort wat u drijft om bij ons te komen helpen en bevestig welke woensdagen u kan helpen van 14-16 uur. Vertel er ook bij in welke talen u het best bent. 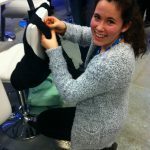 Êtes-vous intéressés encourager davantage de filles à suivre des carrières et des études dans les domaines du STEM? Voulez-vous faire partie du programme qui vise aider les filles à travers l’Europe d’acquérir les compétences nécessaires pour réussir dans le futur monde du travail? Êtes-vous fluent en anglais, français et / ou néerlandais? Devenez bénévole pour le programme parascolaire Digital Muse After School! Nous recherchons des bénévoles enthousiastes qui s’intéressent à l’apprentissage des compétences numériques pour nous aider à atteindre notre objectif d’avoir une classe trilingue véritablement inclusive. Les bénévoles du DMAS seront enseignés et préparés sur tous les documents de cours avant chacun des quatre modules sur le programme et recevront un soutien continu de l’équipe du Digital Leadership Institute. Nous recherchons des bénévoles qui peuvent fournir un soutien linguistique et technique aux filles âgées de 11 à 16 ans. L’expérience technique préalable n’est pas requise. Tout ce que nous demandons est une passion pour notre mission et la volonté d’apprendre! Au fur et à mesure que les bénévoles feront partie de la famille DLI, nous voulons voir chacun grandir et bénéficier de l’expérience. Dans cet esprit, nous sommes ravis d’offrir le certificat de bénévolat de DLI qui peut être ajouté à votre profil LinkedIn. Si cela vous intéresse, envoyez un email à maria.alfonso@dlii.org (Digital Muse Program Manager), en expliquant brièvement votre motivation pour participer et confirmez votre disponibilité les mercredis entre 14-16h avec vos aptitudes linguistiques. 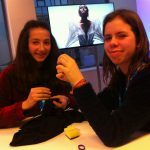 On 30 April at European School IV in Brussels, 250 girls from thirty-three schools across Belgium celebrated International Girls in ICT Day 2016 by participating in Belgium’s first-ever Digital Muse “Girl Tech Fest,” an all-day event promoting digital and creative skills to girls aged 11 to 15. The first Girl Tech Fest was carried out in Dutch, French and English and organized by the Digital Leadership Institute with support from Google, IBM, Amazon Web Services, Cisco, Dell and the ULB. The event involved over 100 volunteers who organised more than forty workshops and twenty Digital Muse Lab activities that showcased high-tech gadgets and activities like Cooking with Watson, Google Cardboard, and Smartgurlz Drones designed, powered and modeled after girls. Participants also took advantage of hands-on workshops teaching such skills as how to “Lead Like a Girl” and “Write in Wikipedia,” and they got to design and build their own gadgets like computer-powered legos and 3D holograms. 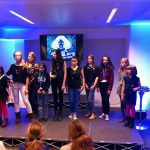 The first-ever Girl Tech Fest also featured inspiring talks by role models from GTF partners, as well as former European Digital Girls of the Year, Miss Lune Van Ewijk and Miss Manon Van Hoorebeke. Ms. Lorena Boix Alonso of the European Commission and Ms. Saskia Van Uffelen, Digital Champion for Belgium were also guests of honour. 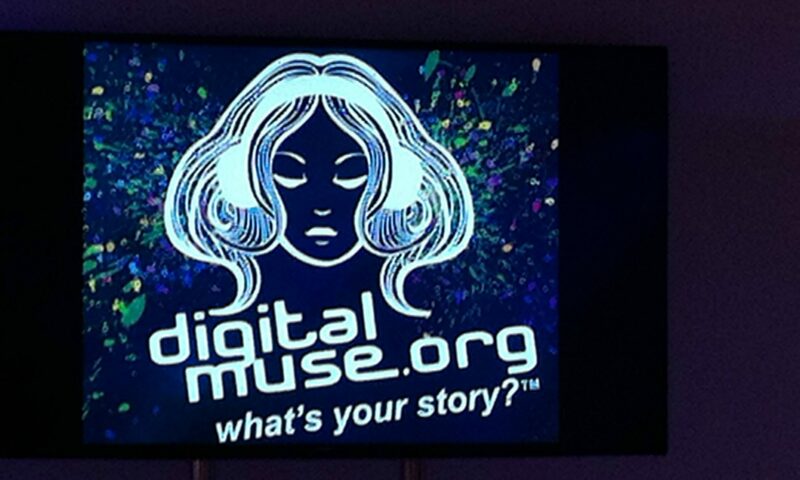 On the occasion of the first Girl Tech Fest, the Digital Leadership Institute also released its first music compilation, Digital Muse One – DM1, featuring top women electronic musicians from the past and present. Ms. Maya Postepski, aka Princess Century, who composed a DM1 track called “California,” also delivered an inspiring talk at the Girl Tech Fest, organized several workshops on “digital music composition” and had several girls to join her in DJ-ing at a GTF disco during the lunch break. The closing GTF plenary showcased amazing digital creations of the day for which the girls themselves were responsible, including an original Digital Muse letter font, digital music compositions, and high-tech fashion designs. Prizes were given to outstanding digital muses who inspired their fellow participants during the day with insight, helpfulness, and general enthusiasm about the event and their fellow digital muses. 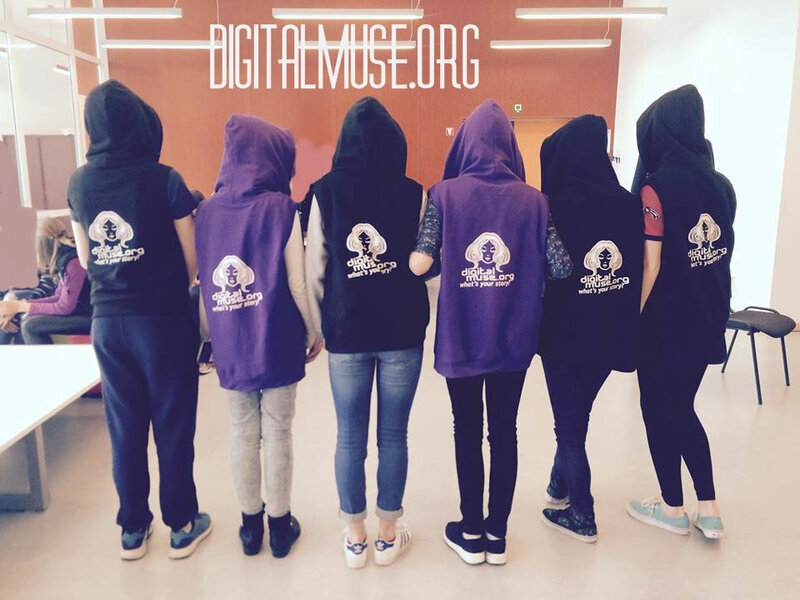 If you or or your organisation would like to support future editions of the Digital Muse Girl Tech Fest in Brussels or elsewhere — with expert-led workshops, sponsorship, promotional consideration, media coverage, technical infrastructure or onsite volunteers — please contact us. Imagine a world where you can attend your Economics class from the comfort of your own room, where your gerbil can send you a picture to say it’s hungry, or your dress can tell when you’ll need a rain coat…. If you think this is the World of Tomorrow, you’re in for a world of surprises! This phenomenon is called the “Internet of Things”. It’s a world where things connected to the Internet can “think” and “communicate” for themselves. It’s a world where all the things mentioned here are already taking place. It is the World of Today, and YOU are a part of it! In celebration of International Girls in ICT Day 2015, g-Hive and Cisco Belux presented “Girls & The Future Internet”: A hands-on workshop – in English, Dutch, French & German – for girls ages 13-17, to promote active participation and leadership by girls in designing and building the Internet of tomorrow, for fun, safety and wellbeing. During the workshop, participants learned about the Internet of Things, developed IoT projects with a focus on health, safety, entertainment, fashion, “smart” cities, etc. ; and they were encouraged to participate in the global Cisco-sponsored contest for IoT projects by girls. Ever dreamed of a ring that can read your text messages out loud? Or a dress that lights up when your pet snake escapes? 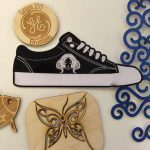 On Wednesday, 21 January 2015 – in collaboration with GE Garages Brussels – Digital Muse hosted a half-day workshop for 6-16 year old girls on the “Future of Fashion.” At this workshop, fifty girls learned about cutting-edge tech in 3D printing, electronics and textiles which inspired them to stop dreaming about the future of fashion and start inventing it! 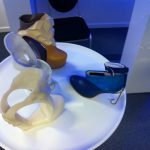 14:40-16:30: Digital Fashion Workshops by Ms. Rosanna Kurrer/DLI & Mr. Chris Savage/ICON:Live! Follow the g-Hive calendar for more activities giving girls the skills and confidence to design and build our digital future!